Like this yarn? Get it here by clicking on the image! I made a sweater out of this yarn, nice yarn. I just finished my first project with Red Heart Boutique Unforgettable, and I LOVED it!! I made a simple triangle shawl with the Dragonfly colorway (the purple! the turquoise!) and it turned out just gorgeous! It was a total joy to work with, the roving-style yarn just slid like buttah through the J hook. In fact, I had so much fun using Boutique Unforgettable that I had to rush out and buy 4 more skeins (well, it WAS on sale) to make 2 more shawls as gifts. This time I will try Meadow and Bistro. Love the softness and colorways of this yarn, but it's terrible if you make a mistake and have to frog your project. I actually have 8 skeins of this yarn, 4 of each of two colorways, and I haven't tried to use it again after my first two attempts. Anyone have any hints? I just bought my first three and its a nightmare frogging it! Wished I had a suggestion for us both. 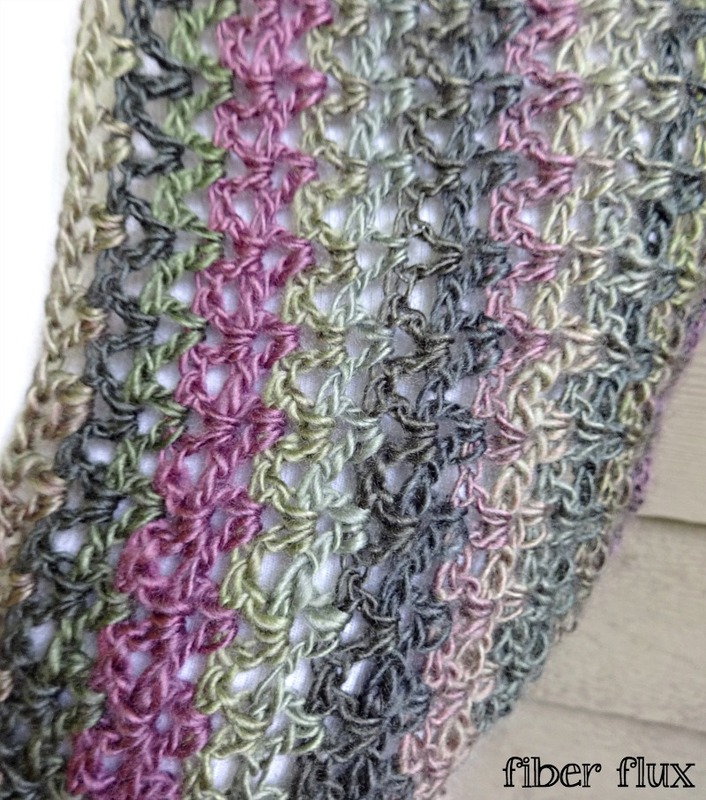 I just finished making a simple shawl with this yarn (the Dragonfly colorway) and enjoyed making it much! The roving-style yarn was a dream to work with! 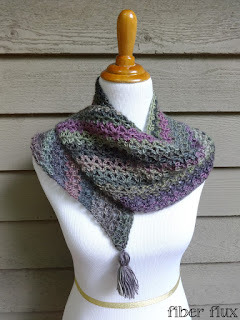 I had so much fun making it that I had to rush out and buy more of this yarn (using Meadow and Bistro this time) to make two more shawls to give away! I love this yarn and have been using it a lot to make scarf and shawls. 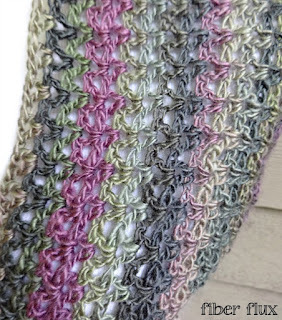 I love the way the yarn colors melt into one another. And it just wash and wear which makes it so easy to take care. My customers are buying up whatever I make even before I make. Works well with lace patterns too. I absolutely LOVE working with Red Heart Unforgettable! I have never been disappointed with the outcome of any project that I use this yarn on. I hope Red Heart NEVER discontinues this yarn and even expands on the color choices!! 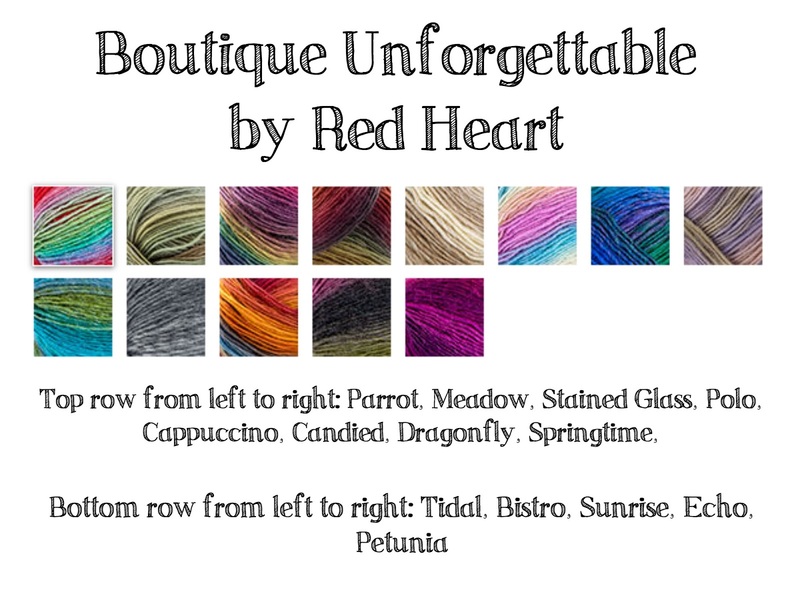 There is a group on Facebook called Red Heart Unforgettable Fans, with almost 5,800 members to date, and I have been a part of that group within a month of the yarn coming out. 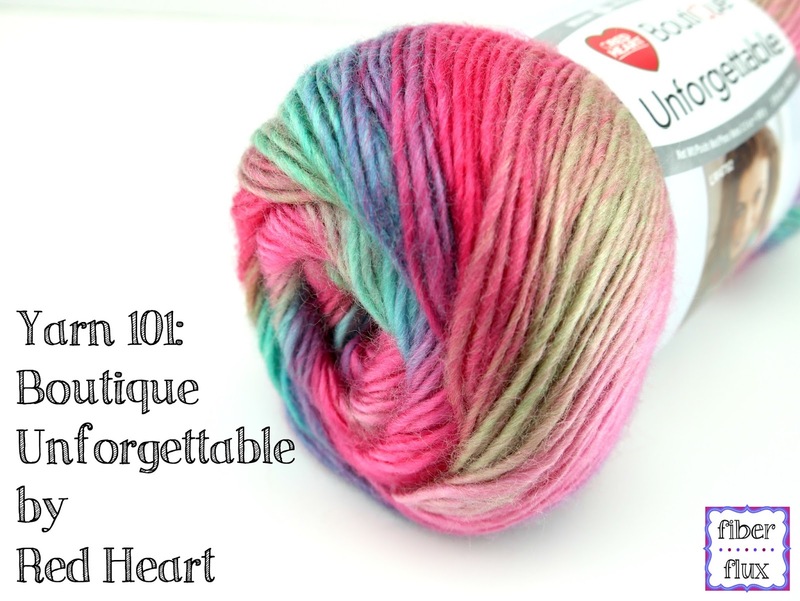 Please keep this yarn in the Red Heart Repertoire!